Tonight, I made Shumai (or shaomai...pork dumplings) by using this fabulous new product, Donabe Steamer by Nagatani-en (from Iga, Japan). 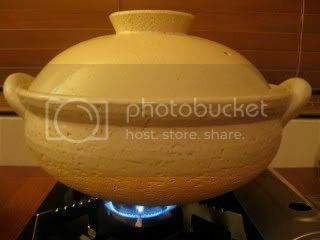 I really can't wait to introduce this product on my online shop, toiro (www.toirokitchen.com), but I have to ask the donabe lovers to be patient for a while. Because it's an hand-crafted artisan donabe, just like the donabe rice cooker "Kamado-san", it's taking time for the production. I was told their production is currently behind all the orders in Japan. I can hopefully import them within a couple of month. 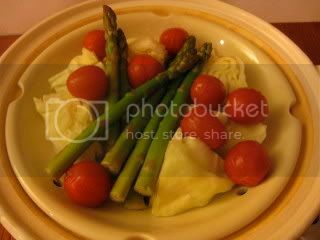 The first course was simple-steamed cabbage wedges, cherry tomatoes and asparagus (from Hollywood farmers' market), served with ginger-miso sauce. 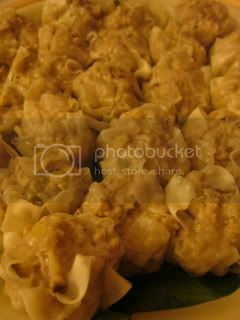 Then, I made shumai with the organic pork which I also got from the farmers' market. 3-4 ea. medium size dried shiitake mushrooms, rehydrated, stems removed, and cut into small cubes. Soy sauce and black vinegar (ratio is 2:1 or to your preference). Optional: Komatsu-na (Japanese spinach), or other leafy vegetables to make a bed on the steamer. 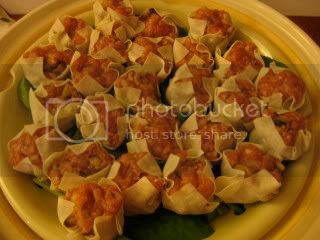 In a large bowl, combine all the ingredients for the shumai except for the shumai wrappers. Knead the ingredients until they are well combined and nicely shiny and sticky. Cover with a plastic wrap and let it rest in the fridge for 30 minutes. 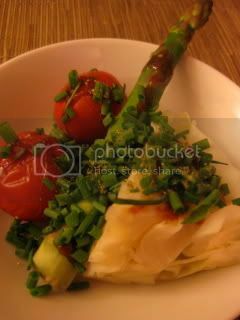 (To make the dumplings) With a butter knife, take a small amount (about 1 - 1.5 tbsps) of the meat mixture and wrap with a shumai wrapper. Once all the shumai dumplings are made, cook them in the donabe steamer for 6-8 minutes, or until they are done. Serve with the sauce and mustard. So that the shumai skins won't stick to the steamer tray, I made a bed of Komatsu-na (Japanese spinach) to put all the shumai dumplings on it. After they are cooked, I also enjoyed eating the Komatsu-na leaves. Shumai cooked with the donabe steamer was so juicy and exceptional.